Finding one’s love interest via a dating app is still largely taboo in South Korea, and faced with such cultural challenges, the world’s most popular dating app is trying a different marketing approach by highlighting its social networking role for millennials. 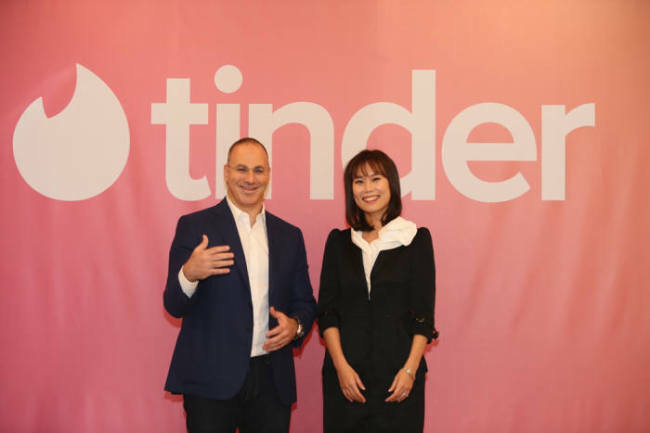 In a press conference held in Seoul, Tinder CEO Elie Seidman branded the company as a “social discovery app,” saying it would offer users more opportunities to expand their networks. “It is not to find a permanent relationship. It is to expand your network and relationship ... ‘experience culture’ is a very important part of millennial culture,” Seidman said. According to Tinder, which launched its service in Korea in 2015, socializing with various people, sharing habits and finding friends during a trip were the primary reasons young Koreans used Tinder. Tinder said it was ranked the most sought-after lifestyle app in Korea in terms of total revenue. According to market research firm Sensor Tower in 2018, Tinder grossed the greatest amount of revenue from subscribers for any app except Netflix. The statistics excluded game apps. Millennials account for the largest portion of Tinder users in Korea at about 80 percent of the total, Tinder said. The company declined to reveal the exact number of subscribers in Korea. But it was only recent that Tinder gained wider popularity among young users. Seo said as early as two years ago, the app was more popular among expats living in Korea or Koreans who had lived abroad. One reason for that was the level of risk involved in using dating apps. According to the Korean Consumer Agency’s 2015 survey, about 50 percent of respondents said they experienced unwanted solicitation when using dating apps. Tinder said it would take action to stop such abuses by using advanced technology to screen out potential predators. “We takes this very seriously. … We have zero tolerance policy on harassing speech of any types. And we have large team of people who are moderating this around the world. We are using artificial technology that can help us,” said Tinder CEO Elie Seidman.